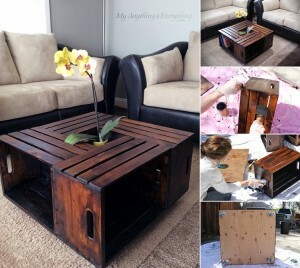 Tara at Anything and Everything while redecorating her living room opted for a thrifty furniture option and created this wonderful coffee table from wine crates. 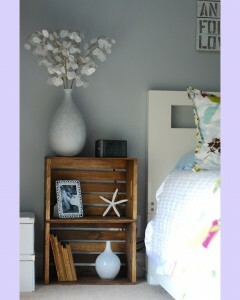 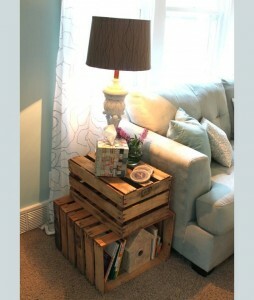 Sarah at Apartment Therapy shared the decor of her living room where she has stacked two wooden crates to become a cool end table. 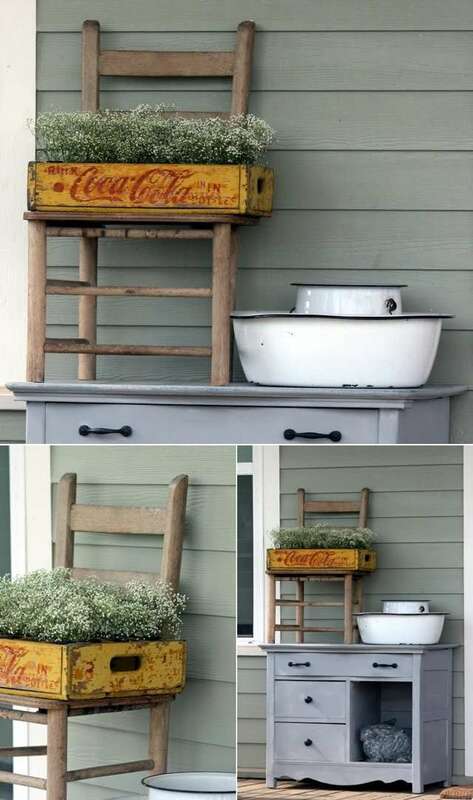 Brenda at Cottage 4C combined the legs of a $5 table with an old coca cola crate and this masterpiece in the form of a footstool came into existence. 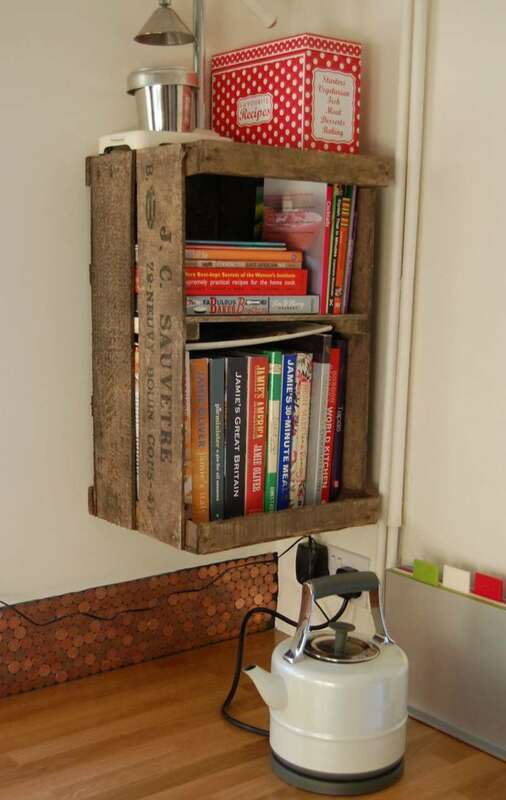 Paul Channing at Pinterest shared a great idea to give a home to a small collection of books inside an old wooden crate fixed onto a wall. 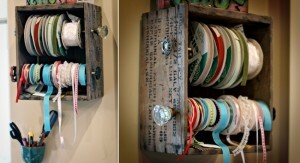 Michelle at Allen Designs wanted an ultimate solution for her increasing amount of ribbon supply and hence she came up with an idea and organized the ribbons inside a wooden crate. Elsie Larson via A Beautiful Mess shared the pictures of her bathroom tour where these lovely shelves that organize her towels and makeup supplies are built by her creative father. Natalie at Design Sponge has shared a great idea for all of those who have got a thing for crafting. 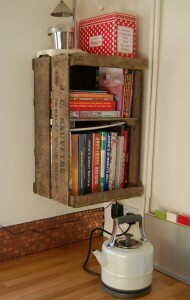 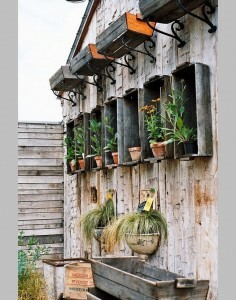 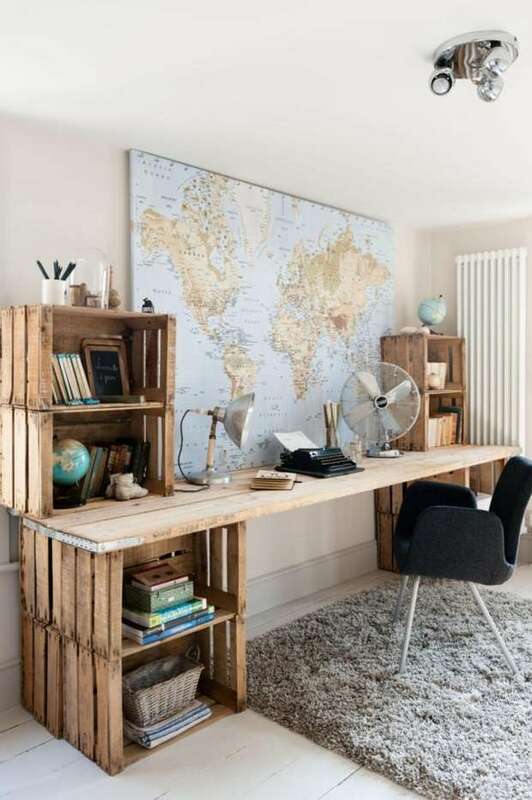 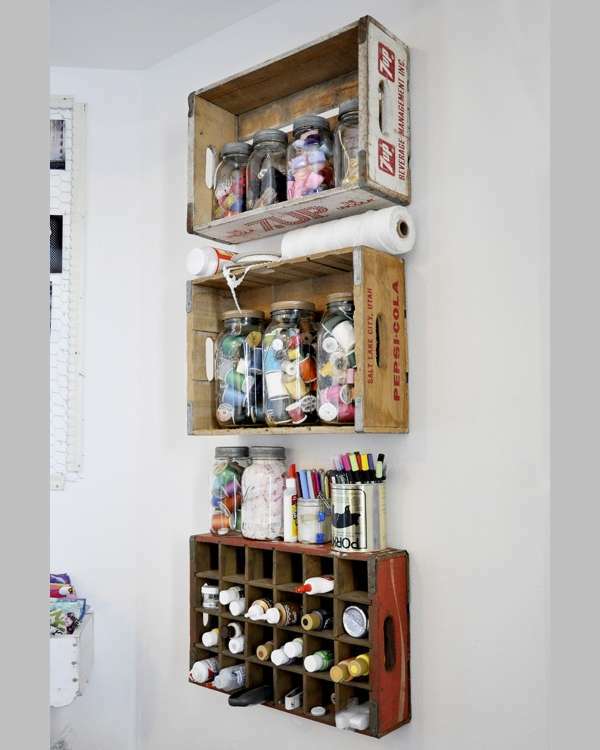 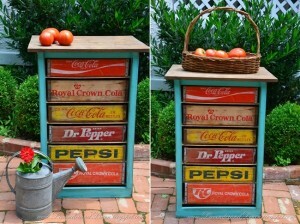 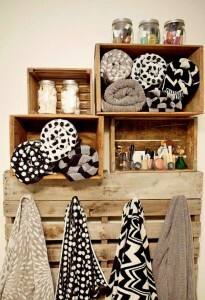 Simply store all your crafting supplies in old wooden crates. 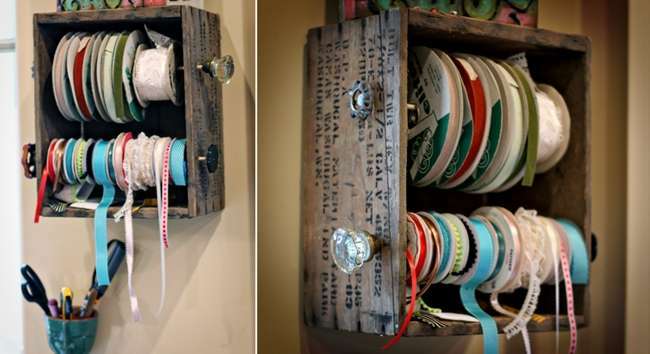 Awesome, isn’t it? 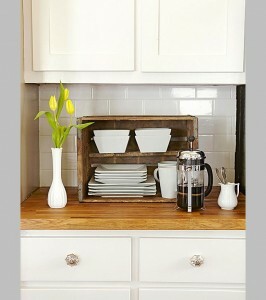 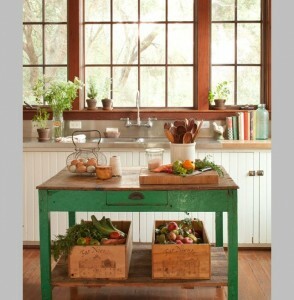 Better Homes and Gardens has a solution for the ever increasing requirement of storage in your kitchen. 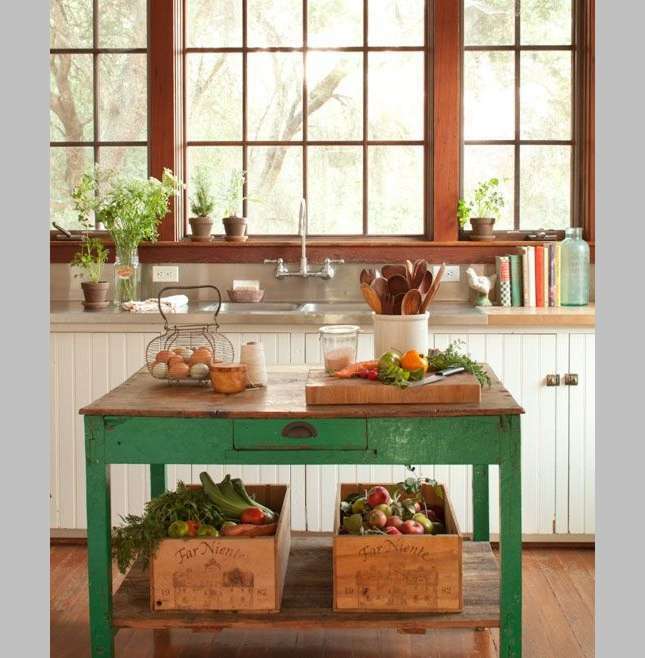 Just bring into use some wooden crates and create storage anywhere in your kitchen without spending hefty amounts on organizers. 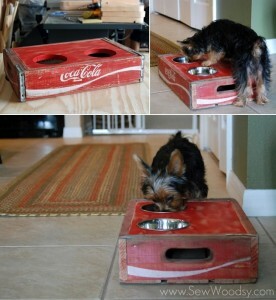 Sew Woodsy where Katie & Jon Jasiewicz share their wonderful creations made this wonderful dog bowl holder from a coca cola crate brought to them by their neighbor. 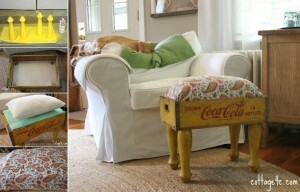 Their neighbor must have been quite happy with this wonderful transformation.